Tex Year has redefined label industry and offers the complete series of HMPSA, WBPSA, and UVPSA. The printing techniques have been more and more diversified in the past few years. Those applications have brought big challenges to tape glue techniques. 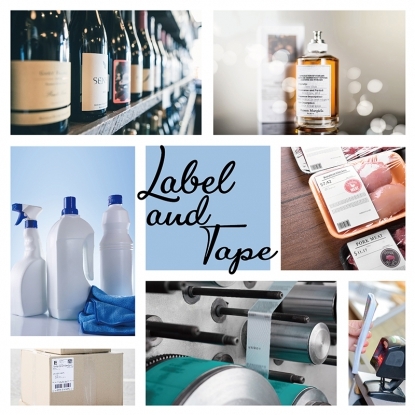 Tex Year professional team will offer innovative solutions for labels, including commercial packaging label, courier label, cold resistant label, tire label, difficult substrate label, RFID label. Good bonding on each substrate. Die cutting friendly, no glue oozing which maintains bonding strength for long time , easily torn, automated operation friendly, workable under different environments and temperatures. Workable to different printing materials. Those materials are characterized by strong, good adaptability, multi functions. Requires good bonding on difficult substrates, such as , PE/OPP/PP. Applied on inventory and logistics management, flight checked luggage identification, anti-burglary system in libraries and book stores, various kinds of ticket bonding. Low viscosity required substrate, such as, PE, PP, OPP, PET, PVC, can also perform good initial tackiness and peel strength. We offer glues with different viscosities based on different demands from customers. Wide applications, such as fruit label, wet tissue packaging. Characterized by no oil ooze, die cut friendly, easily peel-able, no residuals and thus no need to remove glues, which brings aesthetic value to products. Good bonding on film materials, such as, PET, PVC, and offer highly transparent appearances on products. Suitable for bonding surfaces of glass and metal made objects. Offer clear, identifiable and smooth surface tire label glue that can tolerate long storage time and different transportation conditions without losing bonding strengths and chemical properties of label glues. Good bonding on frozen, refrigerated foods, courier sheets, medications, chemical products, labels transported across high latitude areas, and water resistant boxes/ cartons. Can be coated under room temperature, high temperature resistant, fast setting time, ideal for the applications of LC back module glue, masking label, high performance labels, electronic tapes, craft bonding, home appliances.